Next, I tried the Microsoft Math Add-In. Again, this one is useful with its ability to add sliders for student exploration, but I still couldn’t limit the domain. That doesn’t mean it can’t be done, but I couldn’t figure out how to do it quickly. 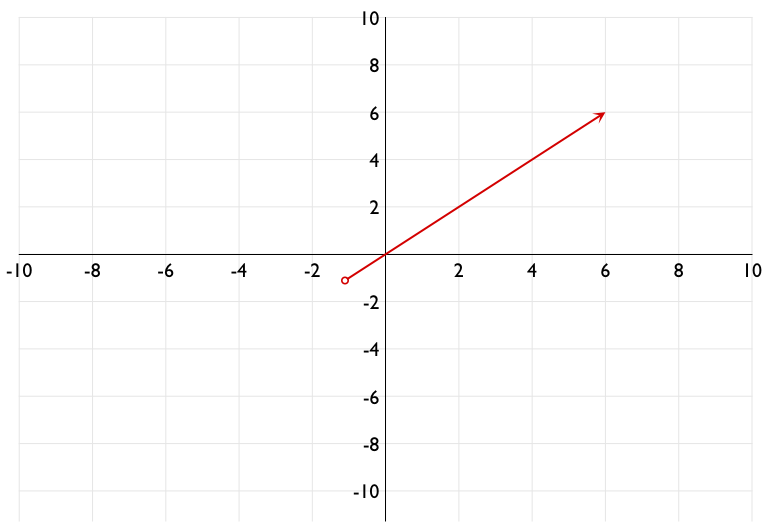 Then I tried the Math Tools grapher in Notebook, which gave me similar problems. Again, this is a decent tool for student exploration, but exploration was not what I was after. So I threw out a shout on Twitter, and got several suggestions. I have tried most of them. Here is my review. Please note that I am reviewing these solely based on their ability to create the graphs I need to insert into my notes, worksheets, and exams. I will play around with them some more and in a future post I will review their abilities as interactive exploration tools for students, which may very well change which one I view as my favorite. 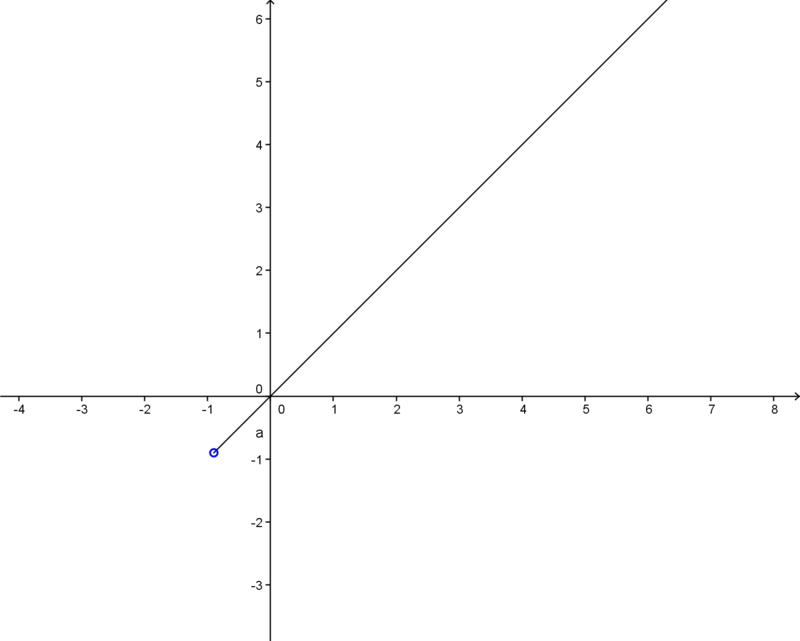 Matt Ruden suggested Omnigraph, which i have since discovered is a Mac application, and an iPad application. I paid $15 for the iPad application, and it is pretty slick. It creates really nice graphs, right on the iPad. 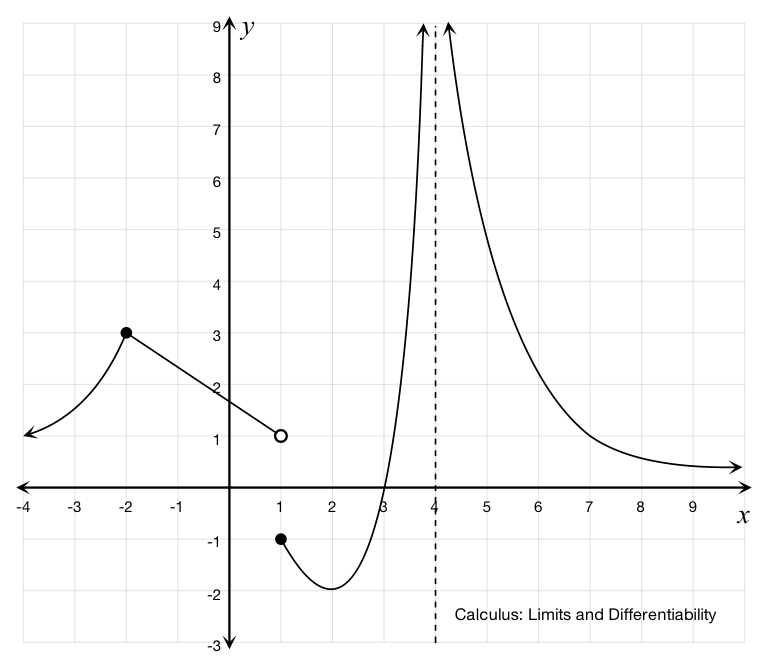 I’ll just use the one I made that is similar to all the rest here, but I was able to create some pretty neat piecewise functions and some great shaded bell curves. 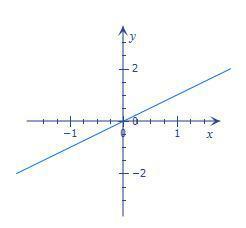 My biggest complaint is that I can’t create a graph from an equation with it. 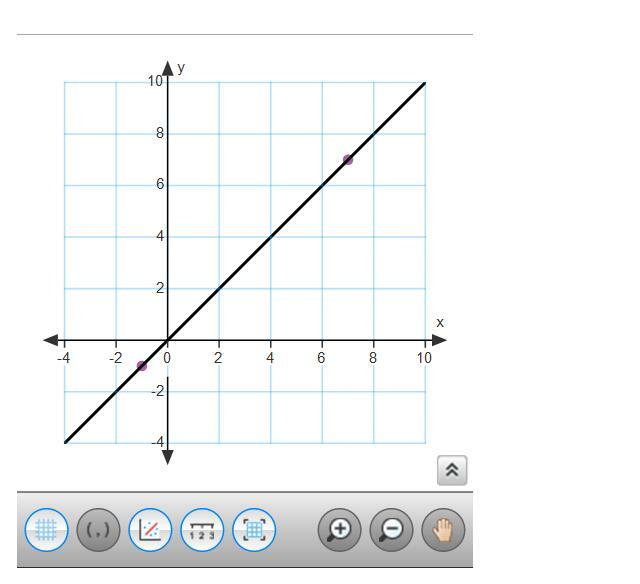 Kris Reid concurred with many of the other suggestions, but also suggested using Geogebra. I have used it many times, but never thought to import a graph from it into an exam. I couldn’t get an arrow on the end of the ray, but the graph is pretty nice. Sam Shah and Kris Reed both mentioned Winplot. How come no one ever told me about Winplot before? It seems to do everything I need it to do. Sam warns that it has a learning curve, but it didn’t take me too long to figure out how to make exactly what I needed this time. Don Chandler recommended Advanced Grapher. I looked at it online, and it looks pretty good, but I wasn’t going to pay $23 for something that I didn’t need anymore now that I found the other two that will suit my purposes. I also like Winplot because it is a little easier to import graphs into the documents I want them for. 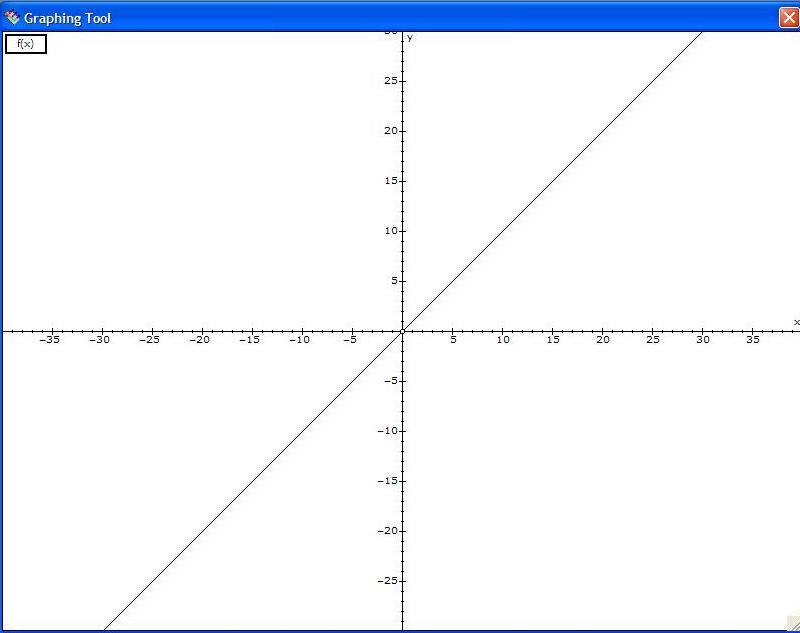 You are a god among men for sharing this insightful overview of the different graphing options out there. I was just lamenting the prospect of having to do this same evaluation all by my own self. 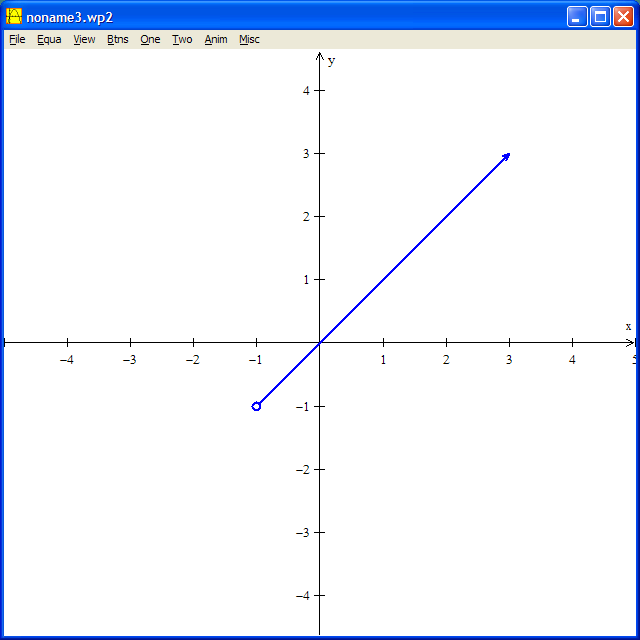 I’d recommend FXGraph http://www.efofex.com — although I use GeoGebra for classroom discussions, for anything that needs publication FXGraph gives you fine-grain control over the presentation. The opinions expressed here are my own, and do not necessarily reflect the opinions of my employer. Looking for WNCP Engaging Activities? The project I am working on to collect engaging activities with curricular links is over here.